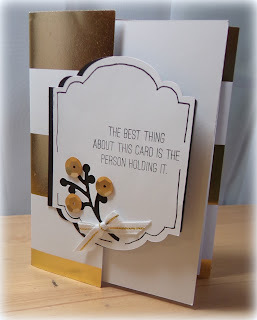 This week, Heart2Heart challenge blog is all about the Fancy Fold card. As a Pinterest addict, I jumped over to my creative fold card board and found a few ideas and finally decided on the Double Front Fold. 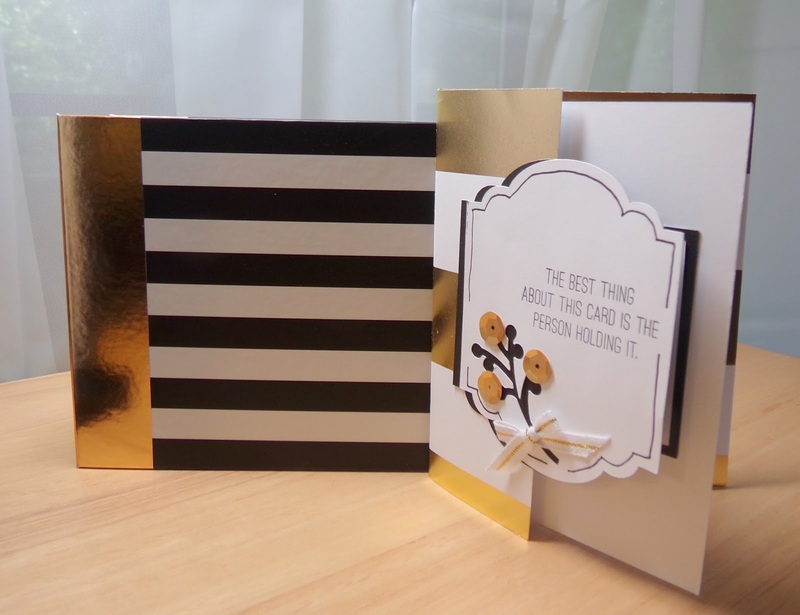 Using the awesome Happy Times paper pack (May's National Scrapbook Month special) staying with the gold foil striped paper with black and white daisy cardstock and gold sequins and white with gold stripe ribbon. 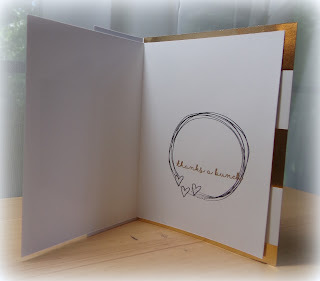 I was inspired by one of our Instalife 2D ring books. While I am not an instagram type, I do love how these little books can work with so many other things. Mine holds specialty round stamps and this weekend in Vegas, someone shared how they would work for her husband's speciality chip collection. When you open the first flap, you will find the second message again from the stamp set, A Bunch of Love (C1647). One more flap to open showing your final sentiment or gift card or whatever your imagination could come up with. The scribble circle from Doodled Designs with three little hearts encircles the gold embossed final sentiment. Love the gold, white, and black of this card -- simple, elegant and definitely fancy folded! A little close up of the gold embossing. Now join us over at Heart2Heart challenge!! 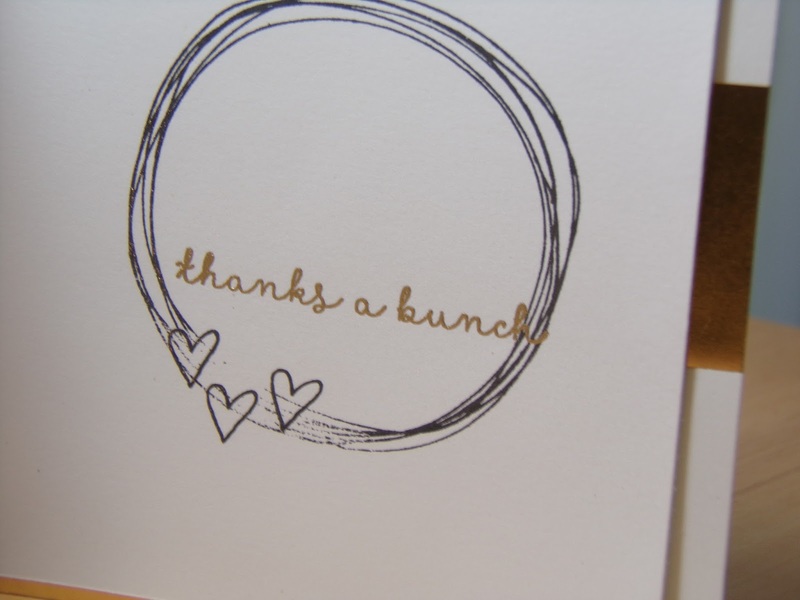 Thanks for your compliment on my card. Your card is elegant, and love the fold. Good luck on the challenge. Shirley, I love Heart2Heart, and I have been an addicted or Perfect Attendance for over a year. 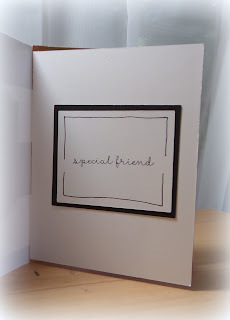 I am a Design Team member for Color My Heart Color Dare Challenge, which is another great challenge that sometimes can be combined with other challenges using the colors for your project. Would love to see some of your CAS cards at Color Dare, take a look. 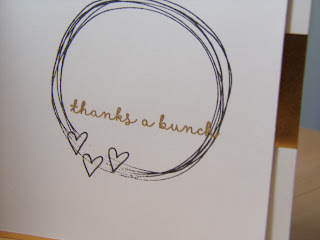 Thank you Sue, I most certainly will check out the Color My Heart Dare Challenge blog!